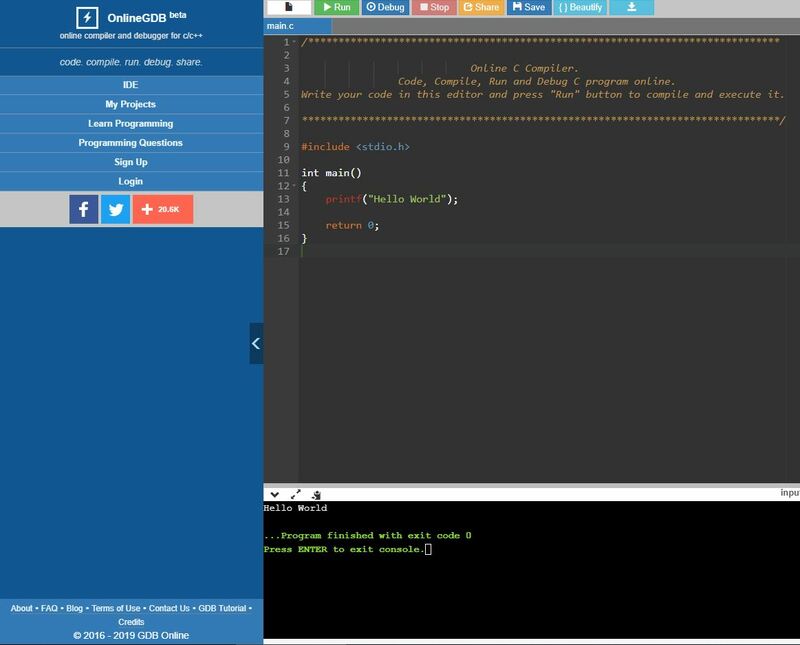 OnlineGDB is online IDE with c compiler. Quick and easy way to compile c program online. It supports gcc compiler for c.
비주얼 스튜디오, 코드블럭과 같은 C언어 컴파일러가 없을 때 간편하게 사용할 수 있는 웹용 컴파일러를 소개합니다.